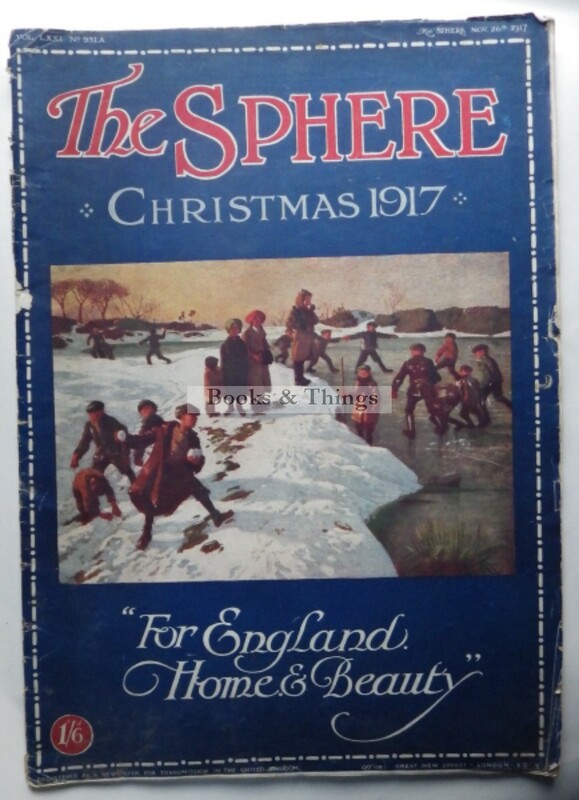 The Sphere: Christmas Number 1917. numerous illustrations, mainly colour; 60 pages, 365 x 260mmm; pictorial wrappers (chipped on spine, damage to corner of rear wrapper). Includes work by Edmund Blampied, Hugh Thomson, A.A. Milne, Edgar Wallace etc. Christmas numbers are rather elusive. Category: Magazines & Comics. Tags: Edgar Wallace, Edmund Blampied, The Sphere Christmas Number 1917.